Over the past year, small business owners have expressed record confidence in their local economies and as a result, many are attempting to expand their business or increase hiring. However, this growth has been somewhat tempered by one of the tightest labor markets in half a century. New Hampshire’s unemployment is sitting at 2.4 percent as of February 2019, and it is unlikely that we will see the market loosen any time soon. Therefore, entrepreneurs must look for ways to stand out from the crowd when competing for talent. According to our most recent Bank of America Small Business Owner Report, 67 percent of business owners plan to expand in 2019, and 27 percent are looking to hire. At the same time, 58 percent say it is difficult to find qualified talent, with many saying their inability to find new employees is having a direct impact on business growth. 1. Shifting to a more flexible culture: Small businesses are often heralded for having less bureaucracy and offering more creative freedom versus large corporations. Business owners should embrace that reputation and can even look to expand further by offering a more flexible workplace culture. This can mean anything from offering the option for employees to work remotely or set their own hours, to switching to casual dress every day rather than just on Fridays and holidays. In fact, our study found 57 percent of entrepreneurs already say they are offering flexible hours to attract talent, and 33 percent are offering flexible work locations. 2. Using social media more actively: Posting updates and photos on social channels is also a good way to market yourself, not only to potential customers, but to prospective employees. Through platforms like Facebook, Instagram, LinkedIn and Twitter, you can share content that highlights your company’s culture and allows prospective employees to get a sense of what working with your company might be like. Many business owners report that they are using social media to reach out to new talent. From various job networking and listing sites like LinkedIn to more generalized social channels like Facebook, social media provides a cost-effective method for reaching a wide audience of potential new hires. In addition, social media allows for people to easily share your job posting among their own networks. 3. Utilizing apprenticeships: Traditionally, apprenticeships are associated with the trades, but other industries and occupations are increasingly looking to apprenticeships to attract talent. 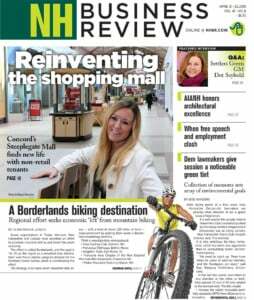 Bolstered by a $1.2 million grant the Community College System of New Hampshire received from the U.S. Department of Labor in 2017, ApprenticeshipNH is focused on partnering with employers in industries such as Advanced Manufacturing, Information Technology, Healthcare, Hospitality and Construction & Infrastructure. Through the combination of classroom instruction and hands-on, work-based learning the apprentice receives, employers are assured of obtaining a qualified employee who in turn increases their earning potential and gets a career, not just a job. 4. Offering higher salaries: At the end of the day, we all know that compensation — be it salary, benefits, or a combination of the two — is often the determining factor in choosing a new job. Therefore, it is no surprise that 17 percent of business owners say they are offering higher salaries to attract prospective employees. When the job market is this tight, businesses need to be able to compete on salary to attract and retain workers. Before making an offer to a job candidate, try to get a sense of what your competitors are offering and make sure that your package is competitive. Job hunters value company culture and workplace environment, but if you aren’t offering at least comparable benefits, you may find it challenging to secure the top talent that can help your business thrive. Small business owners are planning for 2019 to be a year of growth and to meet their goals will need to make sure they have strong teams supporting them. Today’s successful entrepreneurs are taking a holistic and competitive approach to hiring, considering their culture and social presence as well as salary, to ensure they are poised to stand out in the current crowded labor market. 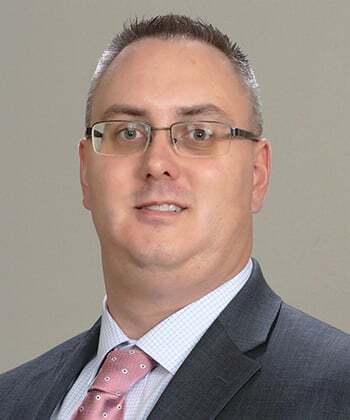 Jack A. Gouger is small business banker and New Hampshire market vice president for Bank of America.